Inky Fairy Designs: The Greeting Farm Design Team Announcement and New Farm Fresh Challenge! The Greeting Farm Design Team Announcement and New Farm Fresh Challenge! HAPPY NEW YEAR! 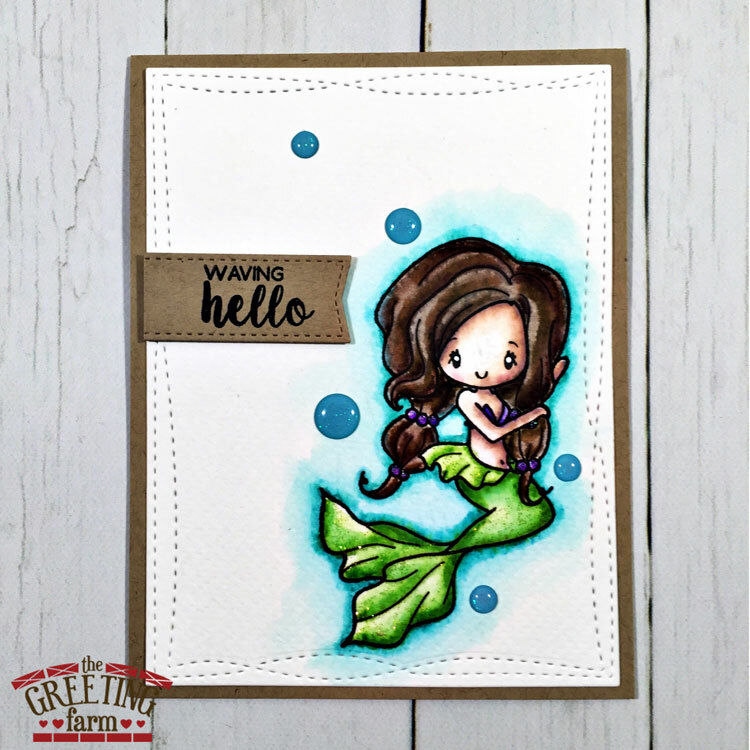 I am thrilled to be joining The Greeting Farm 2017 Design Team and wanted to kick it off with this adorable mermaid - Merisa for our first challenge. The sentiment comes from another adorable mermaid set - Little Mermaids. I stamped her with Versfine ink in black and watercolored her with Zig Clean Color Real Brush markers. These are great for watercoloring and create a vibrant look each time. I kept this card very simple adding a bit of stickles on her tail and a scattering of enamel dots. I hope you'll join us for this fun challenge this month and say hello to the rest of the new 2017 TGF Design Team. Love this! Just love the mermaids from both the stamps & digital images! Great job!